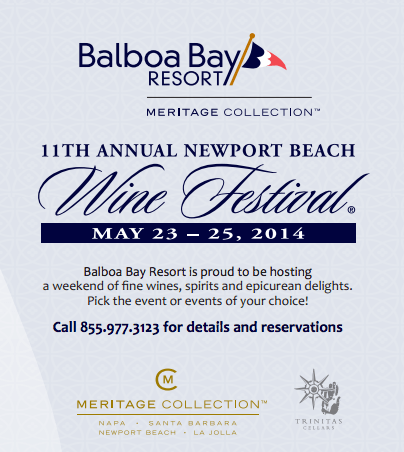 Balboa Bay Resort is gearing up for Orange County’s biggest and best wine event: the eleventh annual Newport Beach Wine Festival® May 23 to May 25, 2014. To arouse anticipation and incite excitement, the resort and ResonatePR hosted a little teaser to give us a taste of what’s to come this year. 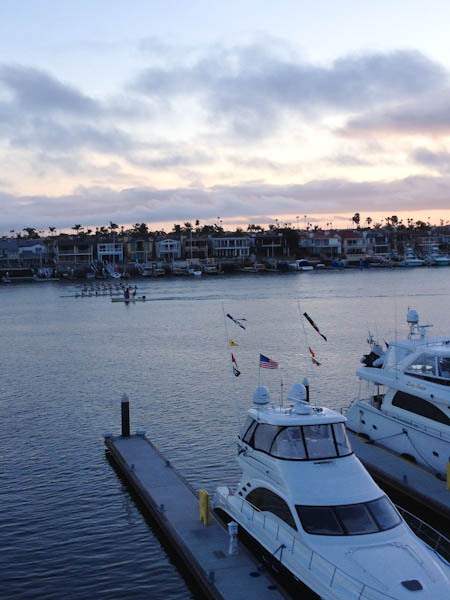 With fabulous bay views from the Presidential Suite, we nibbled on bites intended to titillate your tastebuds and showcase particular festival events while sipping wine from Trinitas Cellars, the resort’s winery partner. Newport Beach Wine Festival® begins Friday, May 23 with the intimate Master Sommelier Coasting Through California Wine Dinner. Kick the holiday weekend off in style and embark on an evening of exceptional wine and extraordinary culinary creations. Guests will enjoy an exquisite six-course dinner that will take them on a food and wine journey throughout California. Each course will represent a specific area in California and will incorporate locally grown ingredients from that region. Fine wines will be selected for each course by Master Sommeliers Ira Harmon M.S. and Ron Mumford M.S. ♦Master Sommelier Coasting Through California Wine Dinner, 6:00 p.m. – 11:00 p.m.
Intimate six-course dinner with wine pairings selected by guest sommeliers Ira Harmon M.S. and Ron Mumford M.S. This intimate event is limited to 70 seats. $195 per person, includes taxes and gratuities. On Saturday, May 24, guests are invited to attend a cooking class and two wine seminars during the day and the Grand Tasting in the evening. ♦Cook to This! Cooking Class and Wine Pairing, 11:30 a.m. – 2:00 p.m. Chef Vincent Lesage will lead guests in creating their own three-course lunch using wine as the central ingredient. Sip wine as you help create each course. $90 per person, includes taxes and gratuities. Napa Valley vertical wine tasting consisting of eight wines. $75 per person, includes taxes and gratuities. California wine tasting and engagement with guest sommeliers that will educate guests on a variety of great wines from the different regions of California. $65 per person, includes taxes and gratuities. 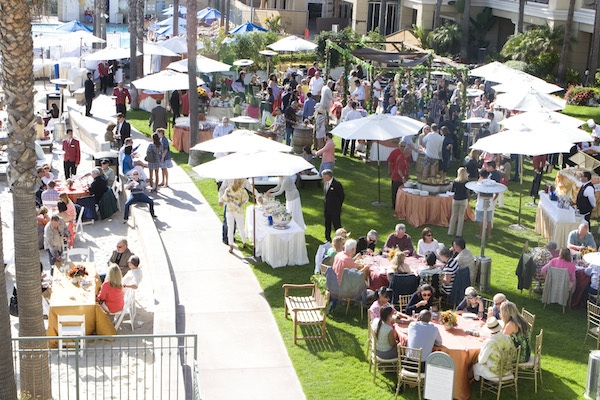 The majestic Grand Tasting on Saturday evening transforms The Grand Ballroom at Balboa Bay Resort into a beautiful tasting room with over 90 wineries from around the world. 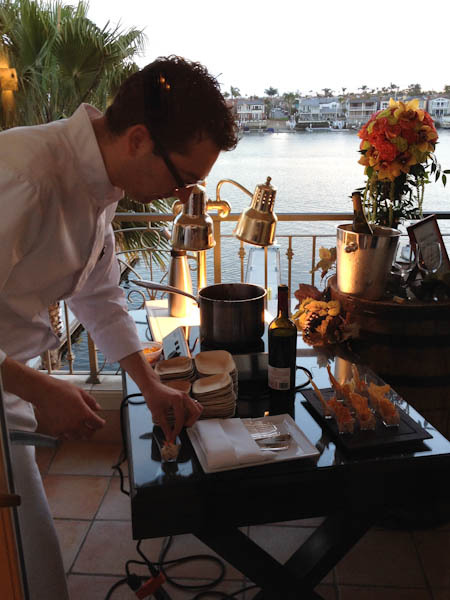 Alongside the wines will be endless culinary creations from the chefs at Balboa Bay Resort, including a selection of seafood, caviars, cheeses, meats and decadent desserts. Live music will set the relaxed atmosphere for the evening. 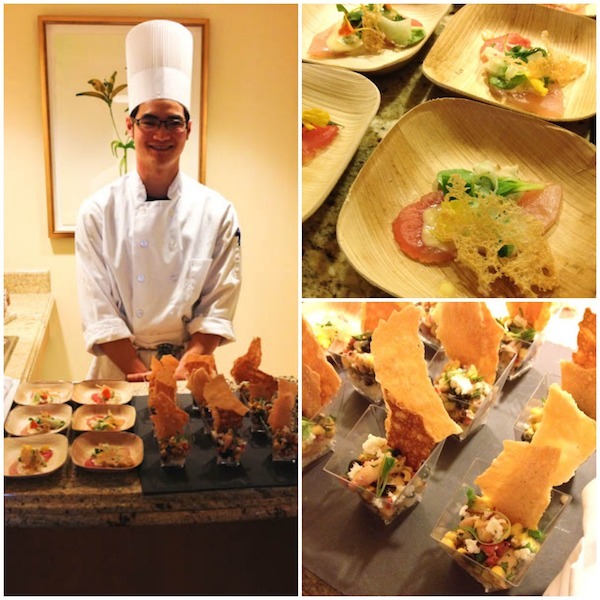 ♦Grand Tasting, 7:00 p.m. – 10:30 p.m. Experience tastings from over 90 wineries from around the world with delectable food pairings from the resort’s culinary team. $135 per person, includes taxes and gratuities. On Sunday, May 25, relax as the sun rises over the bay and start the day off right – with beer for breakfast! ♦Beer for Breakfast, 10:00 a.m. – 1:00 p.m.
Take part in a European tradition and enjoy beer for breakfast. Join the resort’s very own brewer, JC Converse, CSW and Certified Cicerone, as you delight in a variety of JC’s favorite brews from renowned beer capitals of the world − all perfectly accompanied with delicious and hearty rustic breakfast fare. $45 per person, includes taxes and gratuities. ♦All-American Seafood Festival, 2:00 p.m. – 6:00 p.m. Delight in great wine, beer and magnificent cuisine from the sea at this outdoor seafood festival. 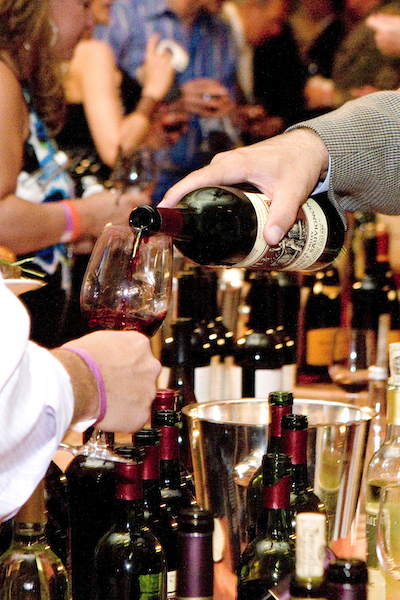 Sample and savor wines from over 30 wineries, including Balboa Bay Resort’s winery partner Trinitas Cellars, as you enjoy an incredible selection of the finest seafood. $99 per person, includes taxes and gratuities. Cap off this most amazing day with delectable desserts, cheeses, after-dinner drinks, and a fine cigar, if you choose. Cigar “On the Rocks”, 6:00 p.m. – 8:00 p.m.
An evening of top flight cognacs, scotches, ports, tequilas, specialty cocktails, fine artisan cheeses, decadent desserts and of course, cigars. $60 per person, includes taxes and gratuities. Join Balboa Bay Resort’s Executive Chef, Vincent Lesage, along with his exceptional culinary team, and some of the best and most well-known wine makers and chefs in the region for this annual event. To purchase tickets, please call Balboa Bay Resort at 949.630.4145. 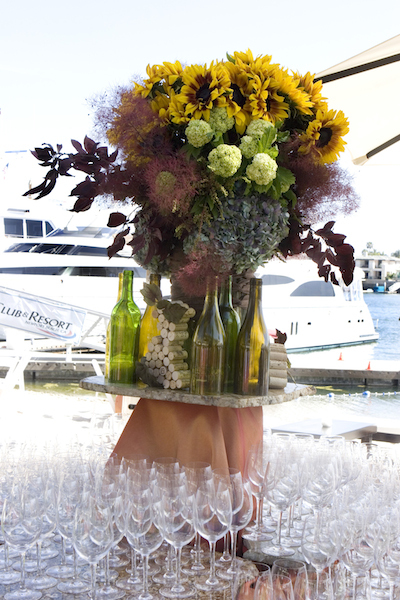 For additional information on the Newport Beach Wine Festival®, please visit http://balboabayresort.com/newport-beach-vacations/newport-beach-wine-festival/.